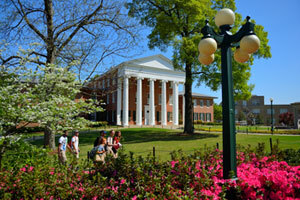 In one of the most unlikely places – the deep South, where tradition reigns supreme and communities are accustomed to men at the helm – the University of Mississippi has taken the lead in recognizing not only the emerging financial power of women at the “philanthropy table” but also their unique abilities to lead and mentor. Since 64% of all charitable gifts are made by women, the Ole Miss Women’s Council for Philanthropy was created in 2000 to tap into the emerging new paradigm. The uniqueness of the program is to provide endowed scholarships for its council scholars and then guide them into their future careers and help with the development of life skills through the leadership- mentorship program. The women were chosen for their strong leadership skills, commitment, passion and diverse professionalism, ranging from corporate executives and business owners, faculty/administration to community leaders, homemakers, and philanthropists. The council members’ lives may differ, but they all have a single goal: to enhance the educational experience and provide career opportunities for young people during their tenure at Ole Miss. Students receive scholarships of $8,000 per year for four years. Each scholar meets weekly with staff mentors and are also assigned life and career mentors from the Ole Miss and Oxford community. Many mentors are members of the council who guide the student in developing a career path, as well as help the scholar network with alumni and other professionals. Each student also participates in a series of seminars using the philosophy of servant leadership as the core curriculum. Field trips, seminars and the monthly “Red Plate Suppers” are all part of the scholars’ life. Upon graduation, each scholarship recipient is expected to pledge a modest amount of financial support to the OMWC endowment to reseed the program.